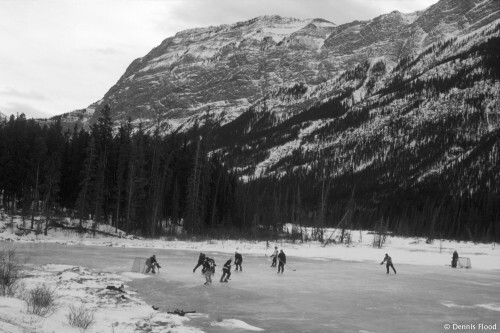 Old Time Hockey in the Canadian Rocky Mountains. 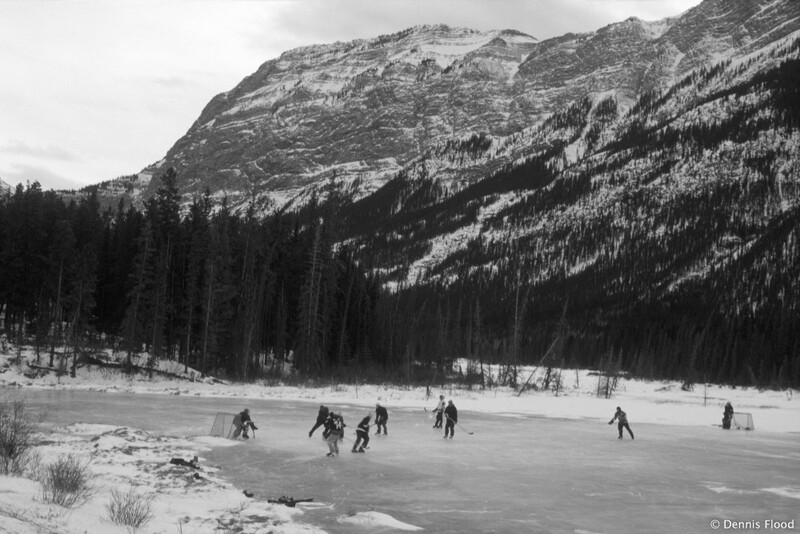 This photo represents three vivid images of Canada; winter, hockey and the Rocky Mountains. Whether it is a kid skating on his backyard rink, a game of shinny on a frozen pond, or a professional game in a multi-million dollar arena, hockey is Canada, and Canada is hockey.